The Vales EC - Sengkang Anchorvale Crescent EC by SingHaiYi. Near Sengkang MRT Station. Register for The Vales Singapore Executive Condominium Showflat. The Vales features a range of facilities for your family and love ones to spend some quality time with over the weekend. Many facilities include 50m pool, indoorgym, tennis court as well as play area are available for the residents to use. The Newly Built Flyover near Seletar Aerospace will connect residents of The Vales EC in Sengkang West to improve the connectivity of the residents into the City as well as other parts of Singapore. In particular, road users from Yio Chu Kang will also benefit from this as well as currently they have to travel from Jalan Kayu in order to arrive at Central Expressway (CTE). The highway will pass through The Vales EC in order to connect The Vales EC residents. The Vales EC is a 99-years leasehold Anchrvale Crescent EC development located at Anchorvale Crescent in District 19. With expected completion in Feb 2018, it comprises of 9 towers with approximately 517 units and stands 15 storeys tall. It is situated right beside Cheng Lim LRT Station & a stone throw away from Sengkang MRT Station. Future residents will be able to access the nearby Compass Point and Greenwich V which is a short drive away for some family fun and gatherings. A truly unique lifestyle awaits you. The Vales EC has full and unique facilities, which includes a guard house, clubhouse, Function Room & Indoor Gym Tennis Court, 50m Freeform Pool Pool Deck, Wading Pool, Splash Pool & Family Pool Jacuzzi & Hydro Spa, BBQ Area Dining and Play Fountain, Fitness Alcove & Children’s Playground and Garden Trail. The condo’s facilities provide full family entertainment needs for your family and loved ones. Indulge in a serene and tranquil lifestyle right in the heart of Sengkang. Several buses are available near Anchorvale Street and Sengkang East Road. The Vales EC is also near to many shopping centers and restaurants. The Vales EC is also near Waterway Point, the shopping, dining and entertainment hub which is scheduled to open in 2 years time. Also, it is right beside Punggol Waterfront. Entertainment for your loved ones and friends are therefore at your fingertips with the full condo facilities as well as the amenities near The Vales EC. The Vales EC will be accessible with Cheng Lim LRT Station as well as Sengkang Bus Interchange & Sengkang MRT Station. It is also right beside Tampines Expressway(TPE). The Vales EC is also near to the upcoming Seletar Mall as well as the communal facilities in the future Sengkang Community and General Hospital. The Vales EC is also near elite schools such as Pei Hwa Secondary School, Nan Chiau Primary School, Nan Chiau High School. For vehicle owners, it takes less than 30 minutes to drive from Fernvale to the business hub and vibrant Orchard Road shopping district, via Tampines Expressway (TPE), Central Expressway (CTE) and Kallang-Paya Lebar Expressway (KPE). The Vales EC Launch Date will be available soon and the showflat and floorplans are in progress. A wonderful and unique lifestyle awaits you at Anchorvale. Please see The Vales Executive Condominium project details and floor plans for more information. Showflat available for viewing soon. Singhaiyi Group Limited is a property developer in Singapore and specialize in property & real estate development in Singapore as well as the United States. The financial support from its parent company as well as its shareholders, SingHaiyi Group continues to leave major footprint in Singapore as the management team has a strong vision for quality real estate development in Singapore. SingHaiyi Group has a diversified portfolio of properties including the fully sold out Pasir Ris one and CityLife @ Tampines. The popularity of SingHaiyi Group properties indicate that it is a major player in the local property scheme and assurance from the owners are ascertained in the quality of the finishes. In particular, CityLife @ Tampines is awarded the Green Mark Gold Plus award by Singapore’s Building Construction Authority in 2013. SingHaiyi Group has also ventured into the local landed property sector with Charlton Residences which is a freehold landed cluster housing located in Kovan. Many owners of Charlton Residences reflected that the exterior of the building looks very pleasing and that the layout of Charlton Residences is highly functional with no wastage of space. Not only has SingHaiyi Group ventured into private property development, it is also the developer for DBSS Paris Ris One. The strong and diversified portfolio of properties in Singapore means that SingHaiyi Group is not new to the local property scene and hence its next development named The Vales located at Anchorvale Crescent will also be well received by the public. The Vales EC is located right next to Cheng Lim LRT Station and it is just one LRT Stop away from Sengkang MRT Station. The New Seletar Aerospace located at Jalan Kayu is one of the Master Plans by the local authorities and is built to cater the increase aerospace industries in Singapore. Initial estimates by experts indicate that it will cost around $40 million to develop the land that is approximately around 40 hectares of land. This is in line with the government plans to develop Singapore into a international aviation hub. Other developments by SingHaiYi include The Gazania Condo which is a new development located at Bartley MRT Station. The Gazania Condo is a freehold condo located at How Sun Drive. In 2006, plans start to emerge to develop Singapore into an aviation hub and concrete plans start to take place with Economic Development Board (EDB) and Jurong Town Coporation (JTC). Due to the geographical location of Singapore, it is noted that the city state has a strong potential in its aerospace industry and hence plans were included quickly to accurate the growth of the aerospace industry. The Seletar Aerospace will house many giants of the aerospace industry such as Singapore Technologies as well as Jet Aiation Eurocopter. Many other tenants have also express interest in occupying the land including Rolls-Royce plc and it is projected that Seletar Aerospace Hub itself will be home to at least 1,600 new jobs. This will bring more tenant base as well as liven the area of The Vales EC in Sengkang which is near to Seletar Aerospace. Moreover, the Sengkang area has further develop with the new Seletar Aerospace Flyover that has opened on 16 May and this will enable drivers to drive directly into Central Expressway (CTE) as well as Tampines Expressway. Residents living in The Vales EC can expect direct connections via the expressways to other parts of Singapore and thus connectivity has increased for the Sengkang area. There are also plans to built more flyovers across the TPE to support developments in the Seletar Aerospace. The Navian Condo by Roxy Homes is a new development at Jalan Eunos. The Navian is located right in the heart of Jalan Eunos. Parkwood Collection is a new development located at Hougang MRT Station. Parkwood Collection is a 99 years leasehold development. The Tapestry Condo Site Plan at Tampines Avenue 10 by City Developments Limited. The Tapestry is located at Tampines Avenue 10 Parcel C.
Twin Vew Condo at West Coast Vale is a new condo near to Jem Shopping Centre as well as Westgate Shopping Mall. 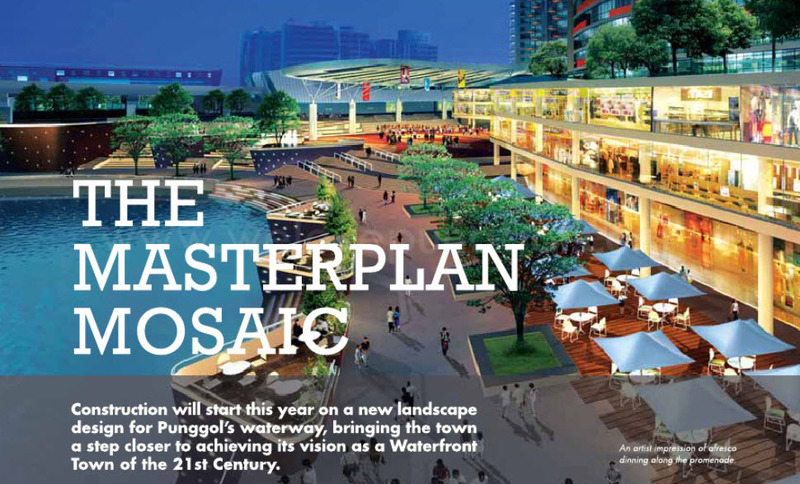 Piermont Grand Punggol Digital District is located at Sumang Walk. Piermont Grand is a highly sought after development that is located in the heart of Punggol. Nim Collection Landed Houses is a new development located at Nim Road by luxury developer Bukit Sembawang Estates Limited. Nim Collection is close to The Seletar Mall and Greenwich V Shopping Centre. Please see Meyer Mansion Guocoland Condo at Meyer Road East Coast. The development is near to East Coast Park and the developer for Meyer Mansion is Guocoland Singapore. Please see new development Parc Clematis Singhaiyi which is the former Park West Enbloc. 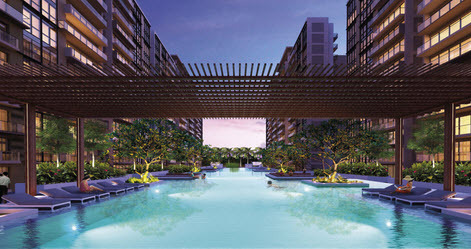 Parc Clematis will be available for sale soon and is located in the mature town of Clementi. Arena Residences Roxy Pacific Holdings at Geylang. Arena Residences is a freehold condo located near to many Geylang eateries. It is also home to many of the shopping centres around Guillemard Lane area. 8 St Thomas Freehold Condo by Bukit Sembawang Estates. 8 St Thomas is near to Great World City MRT Station. Please Enter: To use CAPTCHA, you need Really Simple CAPTCHA plugin installed.